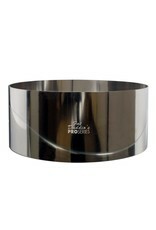 Fat Daddio's 9" x 3" stainless steel ring (1 mm thick) for professional baking results. Welded & polished for a seamless feel and performance. 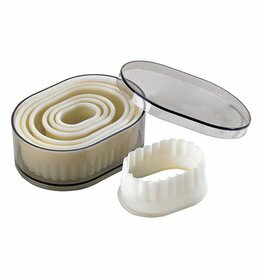 Ideal for baking, layering, molding and cutting. 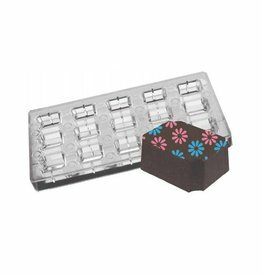 PCMM-01 Beautiful artisan-style chocolates the easy way! 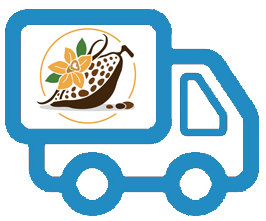 Perfect for use with designer chocolate transfer sheets or all by themselves. Great for craft applications. Each mold measures 5" by 11". 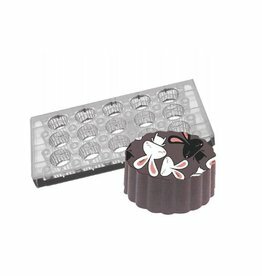 PCMM-03 Beautiful artisan-style chocolates the easy way! 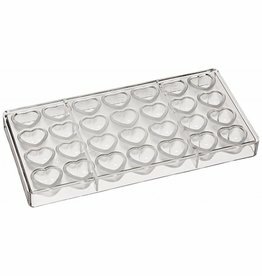 Perfect for use with designer chocolate transfer sheets or all by themselves. Great for craft applications. Each mold measures 5" by 11". Completely seamless and simple to use! 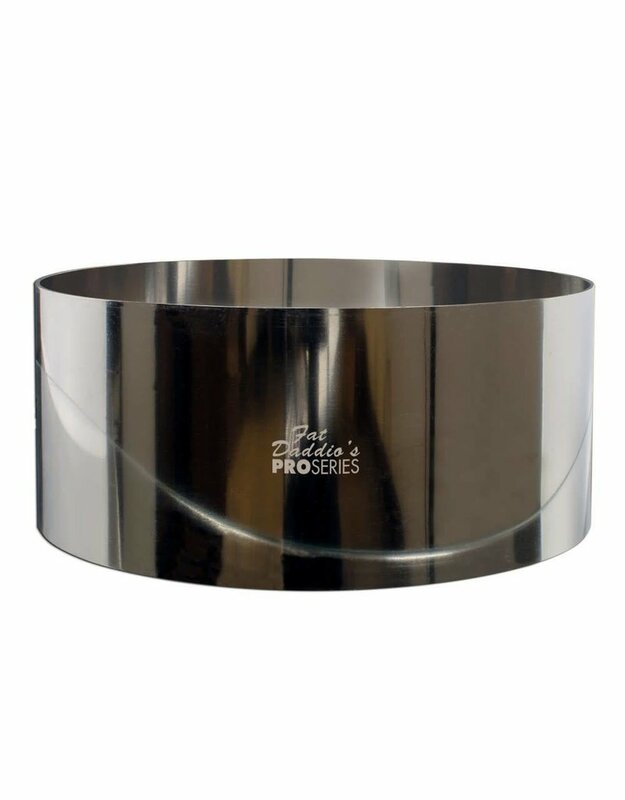 Designed for cheesecakes, these commercial quality pans can also be used for upside down cakes, tiramisu, ice cream cakes, and many other desserts where the top needs to be preserved. DC-05P Fat Daddio's Plastic Dough Cutter features a beveled edge. 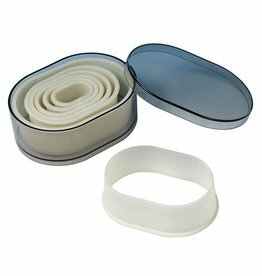 Made of durable and flexible ABS plastic. 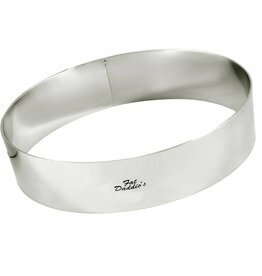 RRD-3023 5.5" x 1.25" Stainless steel ring ideal for baking, layering, molding and cutting.